Click on the photo you want to learn more about. 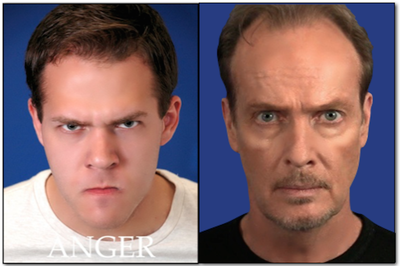 How often have you heard that casting directors and directors “know it when they see it?” They know it because they can recognize it. 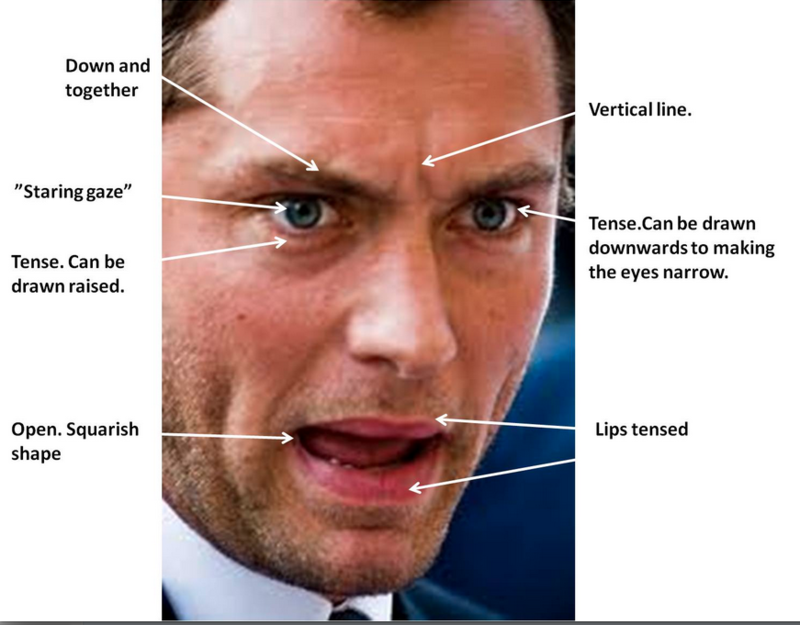 The recognition of these unique facial muscles when someone becomes emotional is responsible for your understanding of the Language of the Face. 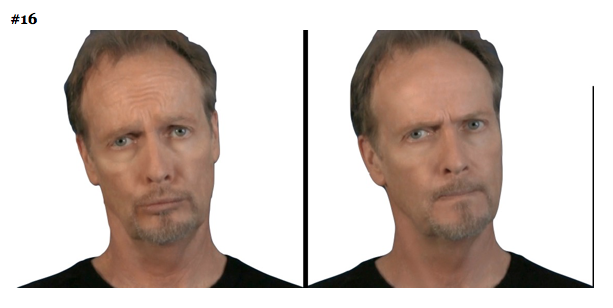 Without a word spoken, we’re able to pick up facial cues from others that tell us if they are upset, frightened, confused, or feeling happy. The same is true in film and television, where we can see what the actor is feeling or thinking just by ‘reading’ his or her face. Although it can be quite subtle, we can identify the moment when an actor becomes emotional – simply by the recognition of one or more of the emotional facial muscle groups appearing or leaving his or her face. Think of the 7 universal emotions in the same way you think of the 3 primary colors. By blending these 3 primary colors in different combination and amounts, you can come up with an infinite amount of colors. The same is true for the 7 emotions. Emblems, on the other hand, are symbols that are culturally recognized. For example, saying everything is okay by giving a ‘thumbs up.’ Or saying everything is not okay by giving someone the middle finger. 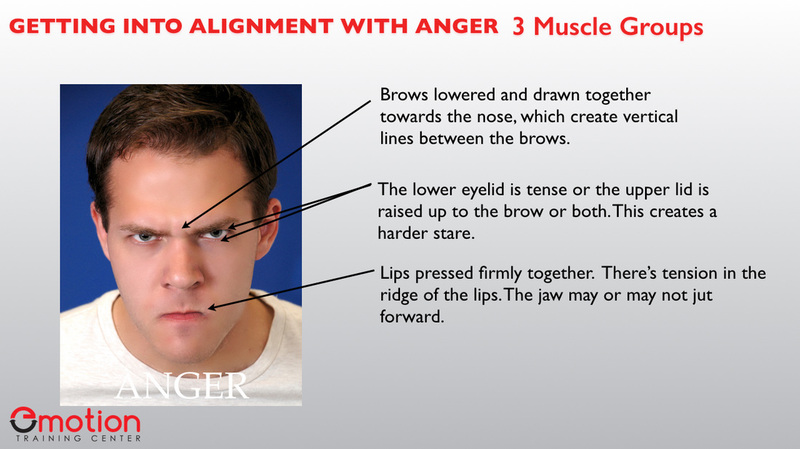 When you lift your brows up and hold them in that position, it is an emblem for questioning (see photo #15 right side). If the head tilts down slightly, it can read like doubt or slight skepticism. We use our eyebrows to communicate a lot. They can be a sign that you’re alert and open – or even just a way of saying hello. 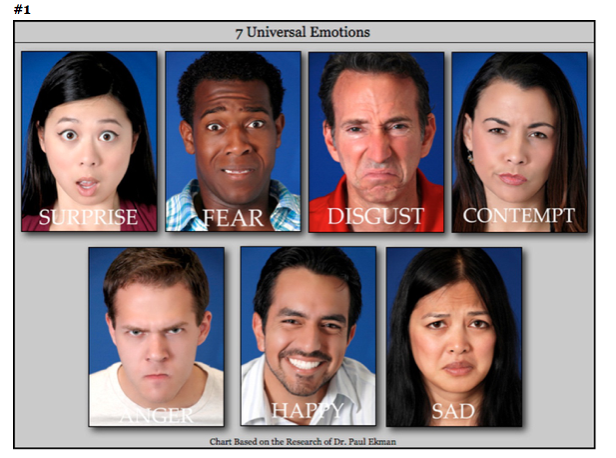 Emotional emblems look like the facial expression of the emotion, but are different enough for the viewer to know that you are not really feeling what you are showing. 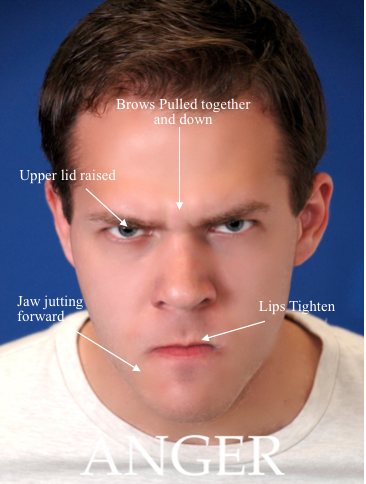 It’s like feigning or mocking someone’s anger with a sad expression or warning them that you will get angry if they overstep a boundary (see photo #16 below). You might also let someone know how you feel or how you’re going to feel. For example, you’re telling a friend that you have to go see your accountant about taxes, then right after you tell him, you tense your lips and stretch your lips back and down. The person you’re talking to will recognize the emotional symbol and knows that fear is coming from what will happen, not what you are feeling at that moment.